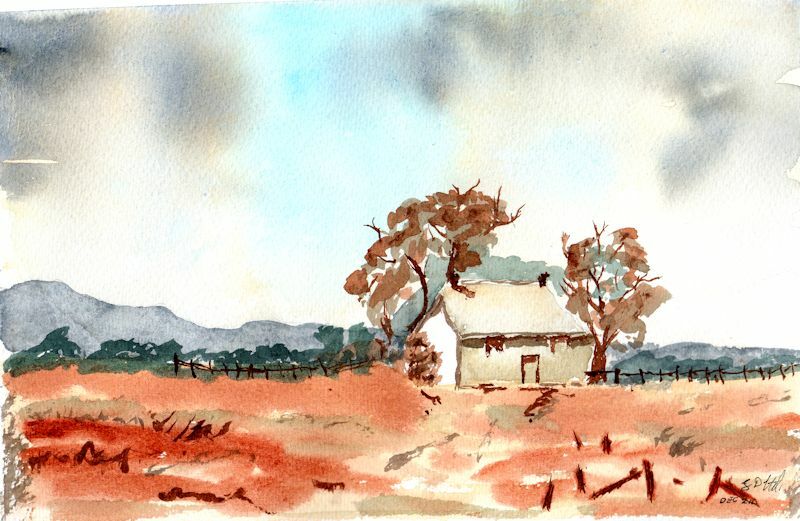 “Country Scene” Watercolour after Alan Owen – approx 25cm x 18cm. 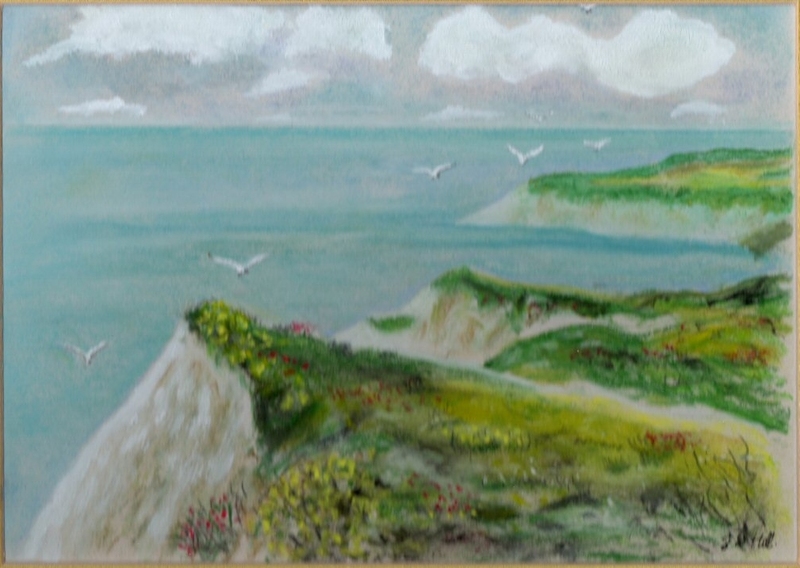 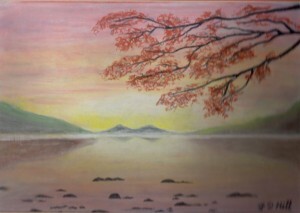 This was Derek’s first painting within the group and a super job he’s done of it too. He is a fan of Alan Owens loose style and really rose to the occasion with this. 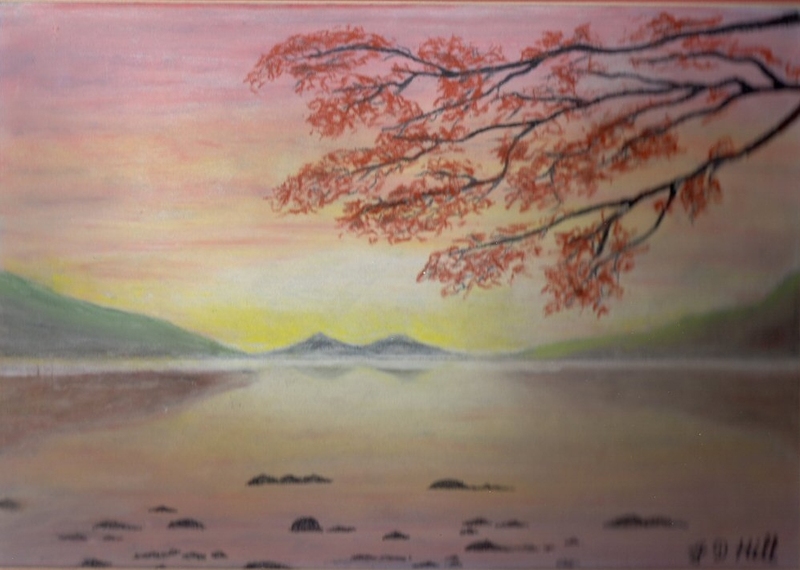 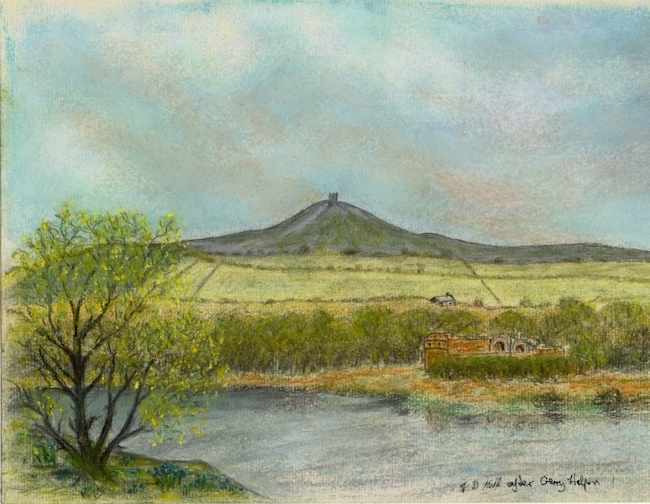 “Rivington Castle” – after Gerry Halpin – approx 35cm x 25cm – Pastels – “Having been born and bred in Horwich, I thought it would be a challenge to copy a Gerry Halpin painting of Rivington. 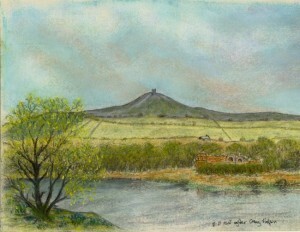 It brings back many happy memories of my youth spent rambling with my friends and my dog”.